I have absolutely NO desire to ever re-enter the workforce to generate income to sustain our family's lifestyle. Dividend increases of the magnitude recently announced by two companies held in the FFJ Portfolio give me confidence my days of employment are a thing of the past. 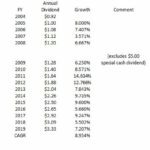 In the subscriber version of my July 23, 2018 Illinois Tool Works (NYSE: ITW) ‘Treat the Pullback as a Buying Opportunity’ article (the complete article is for subscribers), I indicated I thought investors could reasonably expect a 15% increase in ITW’s dividend to be announced within the next 3 weeks. 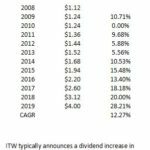 Based on ITW’s dividend history I didn’t think this increase appeared to be entirely unreasonable. 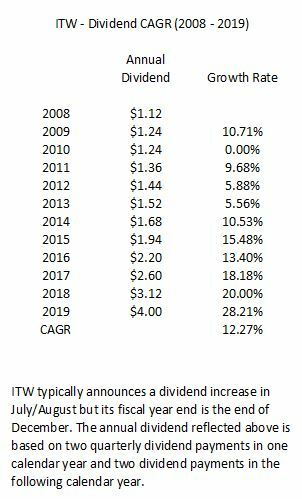 Clearly, I underestimated the magnitude of the impending dividend increase as on August 3rd, ITW announced a 28% increase to its dividend! I certainly was off the mark but I’m not complaining. When it comes to investing, I would much prefer to be conservative with my forecasts. 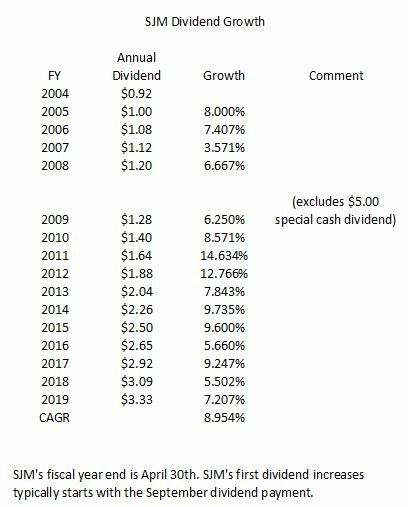 Here is my revised dividend compound annual growth rate calculation taking into consideration the recently announced dividend increase. Another holding within the FFJ Portfolio, The J. M. Smucker Company (NYSE: SJM), also recently announced a dividend increase. While the increase was not of the same magnitude as that announced by ITW the increase was in excess of the rate of inflation. Both companies have sufficient free cash flow to support these dividend increases. Dividend increases of the magnitude announced by ITW and SJM sit well with me. If the companies in which I have invested can consistently generate dividend increases well in excess of the rate of inflation I think returning to the workforce to generate income is an extremely remote possibility. Disclosure: I am long ITW and SJM.